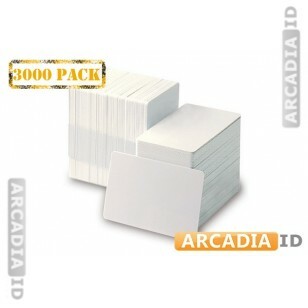 Quickly and cheaply create photo IDs for your organization with this bulk lot of 3,000 white CR80 cards. These are blank and ready to be printed and are great quality and value. For the full range of amazing photo ID products for low prices browse the other items.